The government has announced measures to speed up the process of removing potentially unsafe cladding on private sector high rise residential buildings after it emerged that the number of tall private buildings thought to be fitted with flammable cladding had risen. In May, data from the government’s Building Safety Programme showed that 138 private sector residential buildings contained harmful cladding. However, this month’s figures reveal that the number has increased to 297. 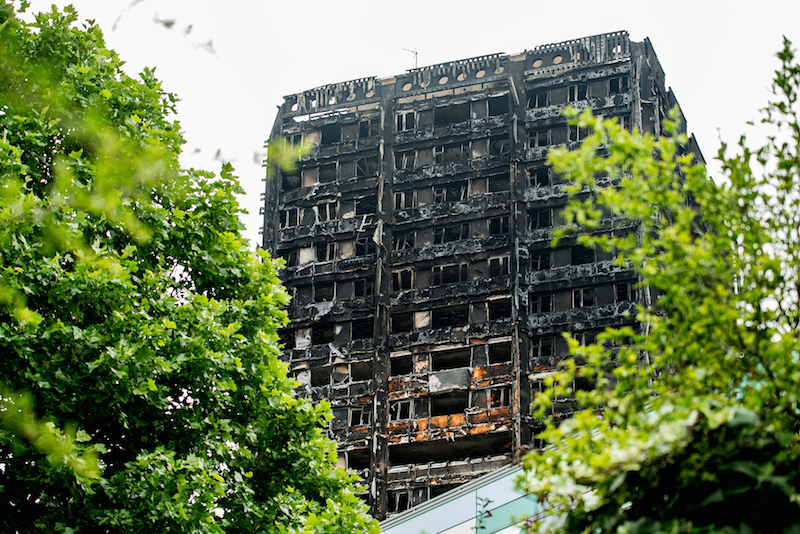 The cladding status of around 170 private tall buildings is “still to be confirmed”, the Ministry of Housing, Communities and Local Government (MHCLG) said. This comes after the assessment of more than 6,000 buildings by local authorities following the Grenfell Tower fire in June 2017. “Ministers have been clear that building owners are responsible for making buildings safe and local authorities have also started enforcement action in all but a handful of cases to compel them to take action,” MHCLG stated. A new task force to oversee a national programme of private sector remediation and ensure plans are in place “for every single building affected”. Chaired by ministers, members will include Local Government Association (LGA), National Fire Chiefs Council (NFCC), industry representatives and local authorities that have experienced the greatest impact. A new inspection team, comprising experts from environmental health, building control and fire inspection who will provide support to individual councils to make sure building owners act accordingly and accelerate the remediation process. An industry roundtable set for July, allowing representatives to present their proposals on solutions to remove unsafe cladding from high-rise buildings without transferring costs to leaseholders. Meanwhile, MHCLG said it would continue to explore other routes for protecting leaseholders. Grenfell changed everything for the fire safety and protection industry, it is up to the whole industry to learn and act from it and ensure that it never happens again. 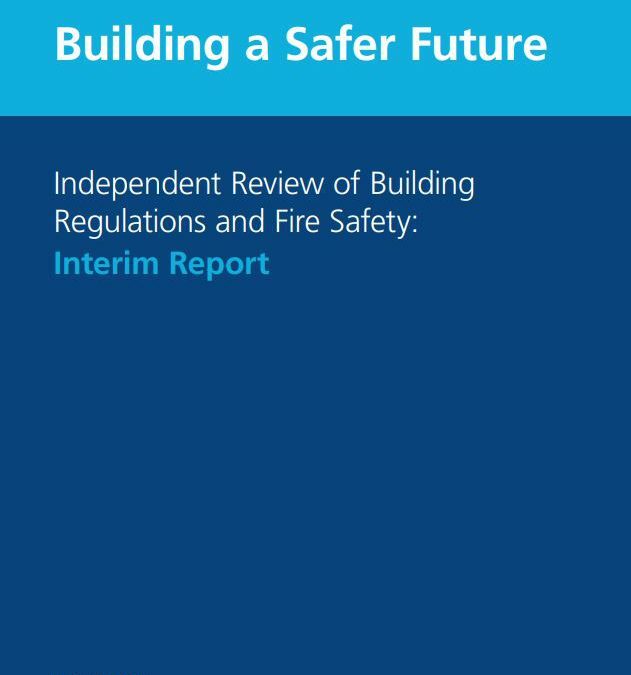 Along with the Construction Products Association (CPA), Kemwell Fire International Ltd. have welcomed the publication of Dame Judith Hackitt’s Independent Review of Building Regulations and Fire Safety. Working Group 6: Quality Assurance and Products. Focus: the Review has focused its recommendations on buildings where there is a high level of risk to human safety in the event of the building being dangerous or catching fire. The primary focus is on high rise residential accommodation, but the Review also notes there are other types of buildings where there are risks due to people sleeping overnight, such as hospitals and residential care homes. It proposes a new regulatory regime to cover these buildings. New Regulatory Body: this is not proposing structural changes to existing organisations, but ensuring a more effective integration of the functions currently undertaken by the Health and Safety Executive, the local authority building control functions and the fire brigades, to ensure that there is greater co-ordination and communication about high-rise residential buildings. The Review also supports the use of digital technologies to provide comprehensive information about buildings and to help to manage these throughout their life cycle. New regulatory framework: this will aim to ensure both that designs are safe and that what was designed and specified is actually built, with limited scope to change this, and any changes to the agreed brief requiring approval. This will apply to both new build and major refurbishment projects. Duty Holder: this will create a requirement for a named individual to be responsible for ensuring building safety during every phase of the lifecycle of a building, from design through to management whilst it is occupied, with clear points of transition for the handing over of responsibilities between the designer, contractor and owner. Construction Product Safety: this makes proposals for a tighter testing regime, the disclosure of test data and more information about products, and a requirement for the regular retesting of construction products to ensure safety. How this should be delivered remains open, including the possibility responsibility could be given to the Office of Product Safety. Resident’s Concerns: there are recommendations on ensuring resident’s concerns can be easily raised, and how these can be escalated to the new regulator if a building owner does not act on them. 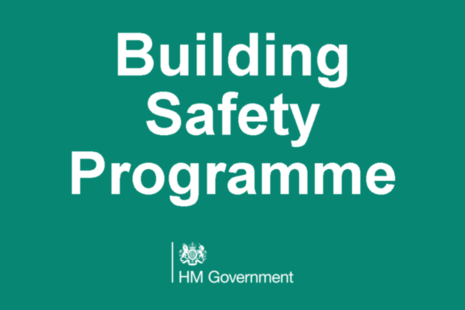 Competency: this aims to ensure there will be an increased emphasis on safety in professional and occupational training for those in occupations relating to fire safety or who need a knowledge of this to undertake their roles within the new system, working with the organisations that lead on professional and vocational training. In late January 2018, the Construction Products Association (CPA) attended a summit held by Dame Judith Hackitt with other senior bodies across the construction supply chain to discuss how to take forward the recommendations from the Interim report into the Review of Building Regulations and Fire Safety. Kemwell Fire International Ltd. fully supports the review of fire safety in order to avoid future tragic events as we saw last year with Grenfell. It is vital that the whole industry comes to together to get it right. Working Group 6 – Quality Assurance and Products. CPA has been invited to join three working groups: Regulations and Guidance; Golden Thread; and Quality Assurance and Products. The objectives for each of these meetings are broad, and working groups have been set a tight deadline to submit a response that is as specific and well considered as possible by the end of March. The Final Report is on a path to be published in May 2018. As well as the work CPA is doing towards the working groups, work for the Industry Response Group is still ongoing. The CPA’s Technical Expert Panel has been integral in the feedback CPA relay to MHCLG, both in responding to key questions regarding capacity and also informing and keeping topics high on the agenda pertinent to both the products industry and the wider sector. Peter Caplehorn, CPA Deputy Chief Executive, who is leading the CPA’s efforts on Grenfell, commented: “Avoiding a repeat of Grenfell is paramount within the minds of all who share in the responsibility for specifying, installing, inspecting and managing the fire performance of our built environment. “It is, therefore, crucial that those engaged in the manufacture, testing and installation of fire critical products and systems are able to present appropriate guidance to ensure that any future regulatory process is sufficiently robust. Given the importance of the Technical Expert Panel, CPA will be reviewing the TEP in due course to ensure the membership matches the agenda and topics. The European Association for Passive Fire Protection (EAPFP) has released a position statement in support of the Construction Products Regulation (CPR), which it says has removed barriers to trade as well as providing a guarantee of quality and standardisation for products marketed within the EU. The statement has been issued in response to a CPR Technical Platform Workshop on 21 June. Held by the Directorate-General for Internal Market, Industry, Entrepreneurship and SMEs, the workshop, entitled Co-Existence of EU Member State Systems For Marketing, debated some far-reaching proposals concerning the CPR and its use. A number of options were discussed including making additional characteristics in harmonised products standards (hENs) possible; allowing for the Member States to regulate outside the harmonised structure and to set requirements without using the contents of hENs, and enabling information flow outside the use of the common technical language of the CPR. Voicing concerns that some of these proposals could lead to a total repeal of the CPR, the EAPFP declares: “EAPFP strongly believes that the CPD and CPR have contributed to removing barriers to trade in Europe. Consequently, either repealing the CPR or degrading its requirements is not supported by the passive fire protection industry. EAPFP supports a progressive harmonisation towards a real European free trade zone via the CPR which uses a common technical language and harmonisation of safety performance characteristics. “We acknowledge the difficulties in the implementation of the CPR, but we propose to continue to successfully resolve the issues as they surface, rather than implement an approach that would seriously risk all positive achievements and advances we have made since the CPR became law in 2013. All the latest news, events and advice from Kemwell Fire, direct to your inbox. A huge warehouse fire has completely destroyed two units at an industrial complex in Braintree, Essex, during the early morning of Saturday 1st September. Nine crews of firefighters were involved in fighting the blaze which broke out at the Springwood Drive industrial site. Loud bangs were heard which due to tyres and cylinders exploding within the building. Essex Fire and Rescue Service said it had been “extremely hard to stop” flames from spreading to other units within the complex. An investigation is due to take place in to the cause of the fire. 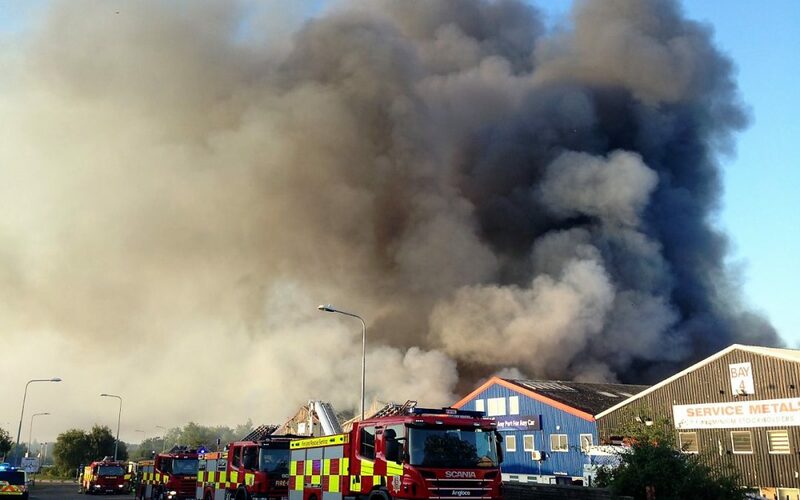 Incident Commander Mark Samuels said: “Firefighters have worked extremely hard to stop this fire from spreading to the other two businesses in this large industrial unit. One of the destroyed units was used as a kitchen and furniture warehouse, the other was used to store vehicles. Fires in factories, warehouses and distribution facilities can be totally devastating, and are categorised as high-risk environments because they often contain a significant amount of combustible or valuable products and equipment. The potential of a fire starting and spreading quickly is significant and often with adjoining units, the damage is not limited to the building where the fire originally started. As well as protecting the building, equipment and stock, there is also a large risk to workers and the environment. Luckily, it seems no life was lost in Braintree, probably due to the early morning start of the fire and it being the weekend, as well as the brave work of the firefighters. 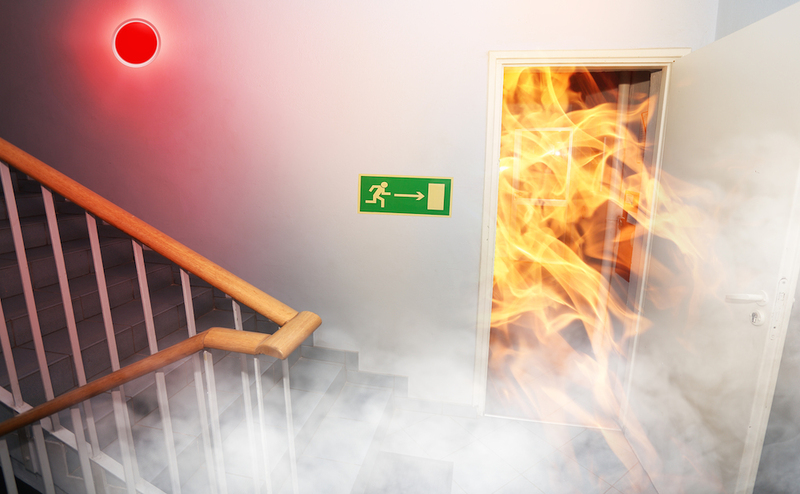 Regardless of the cause being an accidental, negligence or foul play, it is vital that all those responsible for safety in warehouses and factories ensure they review its fire protection and if it is inadequate, install systems that will withstand high levels of intense fire, stop heat transferring through the unit, and allow for safe escape routes to be maintained until emergency fire services arrive to fight the fire. Don’t let the Braintree warehouse fire happen to you. A system like Kemwell Impact Board, which combines fire, impact and blast properties, can help save life, stock or equipment and reduce rebuild costs, as well as giving businesses a better chance of surviving or being able to operate again as quickly as possible. Main Photo: Essex Fire and Rescue Service. Kemwell Fire International Ltd has joined the Construction Products Association (CPA) in welcoming the establishment of an independent review of building safety and regulations in high-rise residential buildings by the Department of Communities and Local Government. Find out more on the review here. Dame Judith Hackitt, Chair of EEF, the Manufacturers’ Organisation, has been appointed by government to commission the review in the wake of the Grenfell Tower fire. It will look at current building regulations and fire safety with a focus on high-rise residential buildings, reporting jointly to the Communities Secretary Sajid Javid and the Home Secretary Amber Rudd. This is a view that all at Kemwell Fire International 100% concur with. Take a look at WeatherKem Fibre Cement Board.